Working to end gender violence in El Salvador and to promote equality through the economic empowerment of women. 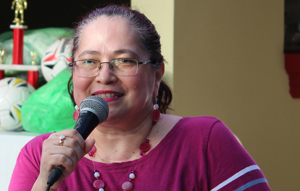 Femicide – the deliberate murder of women just because they are women – is common in El Salvador. On average, a woman was murdered every 15 hours during 2015.